A dramatization that traces former UK prime minister Tony Blair's relationships with Bill Clinton and George W. Bush. Best True Story Election or Campaign Movie? Follows the rise to power of Tony Blair, and his friendship and rivalry with his contemporary, Gordon Brown. Governor Sarah Palin of Alaska becomes Senator John McCain's running mate in the 2008 Presidential election. Lyndon Johnson becomes the President of the United States in the chaotic aftermath of John F. Kennedy's assassination and spends his first year in office fighting to pass the Civil Rights Act. Jonathan Powell: All political friendship is strategic and conditional. 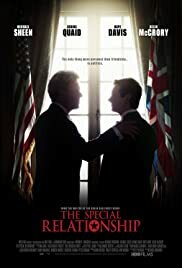 The Special Relationship is a disappointing and shallow film about Tony Blair's relationship with two U.S. presidents. Blair is a conundrum and probably only his wife really knows what makes him tick. Peter Morgan has almost become Blair's official biographer in film, however his take on Blair seems superficial and simple-minded. Morgan's Blair is likable, charismatic, loyal and sincere. 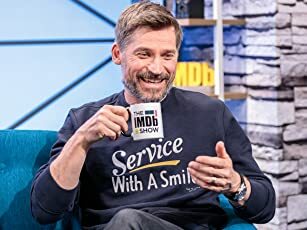 He's also a devoted family man and a Christian. In this film he is constantly trying to do the right thing and comes off like a cross between a soap-opera character and a secular saint. Most people in Britain wouldn't buy into this interpretation. The men and women who become the leaders of countries are usually incredibly ambitious, manipulative and complicated. They often like Clinton and Kennedy have potentially self destructive appetites. Blair we are meant to believe is just like a suburban dad. I have always been somewhat cynical about Blair's motives. When I first came across him during an election campaign in 1983 he was a socialist who recommended nationalization and nuclear disarmament. He gradually moved to the right and around 2003 became a fully fledged neocon. This film suggests that Blair was basically a good guy trying to help the oppressed peoples of the world. For most people in Britain he is someone who put the interests of the United States above those of his own country. Not surprisingly he is still popular in the US but at home he hasn't been forgiven for supporting the Iraq War and for claiming that Saddam had weapons of mass destruction. Blair left office with approval ratings in the mid-twenties and British newspaper columnists love to write negative articles about him. The big mystery is what motivated his course of action, until his liaison with Bush he was popular. Since his resignation in 2007 Blair has done well financially out of his unwavering support for US foreign policy. In Polanski's the Ghost Writer it is even suggested that Blair was working for the CIA. It's a mystery this film doesn't help solve. MI5 has gone on record to say that Saddam wasn't a threat to Britain in 2003. The Special Relationship is a throw-back to the biopics of the 1940s when "great men" were viewed sympathetically. I am looking forward to someday watching a film about the real Tony Blair. He is a more interesting character than the portrait painted in this simple-minded rationalization. 45 of 76 people found this review helpful. Was this review helpful to you?